Deep, long-term business relationships can be extremely valuable. Yet most people seem much more focused on getting a high quantity of customers or other relationships, even if they are low-quality, short-term relationships. 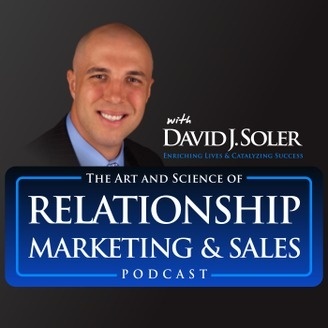 David J. Soler is an expert on the topic of relationship marketing and sales. He is the host of the top-rated “Relationship Marketing and Sales Podcast” on iTunes, and the Founder of the Relationship Marketing & Sales Academy. How the “True Fan” and “relationship marketing” approaches to business development focus on quality relationships, not quanity. What is a healthy focus is for attracting and developing clients and customers? What is the Secret Sauce for building those true fan customers? Should I share my personal side of my life with my customers?